About a month ago I became obsessed with Korean skin care. I constantly read about different products, their functions and how frequently to use them. My poor friends were inundated with text messages about various essences and face masks all the time. I LOVE face masks and fortunately for me, face masks are an integral part of Korean skin care. 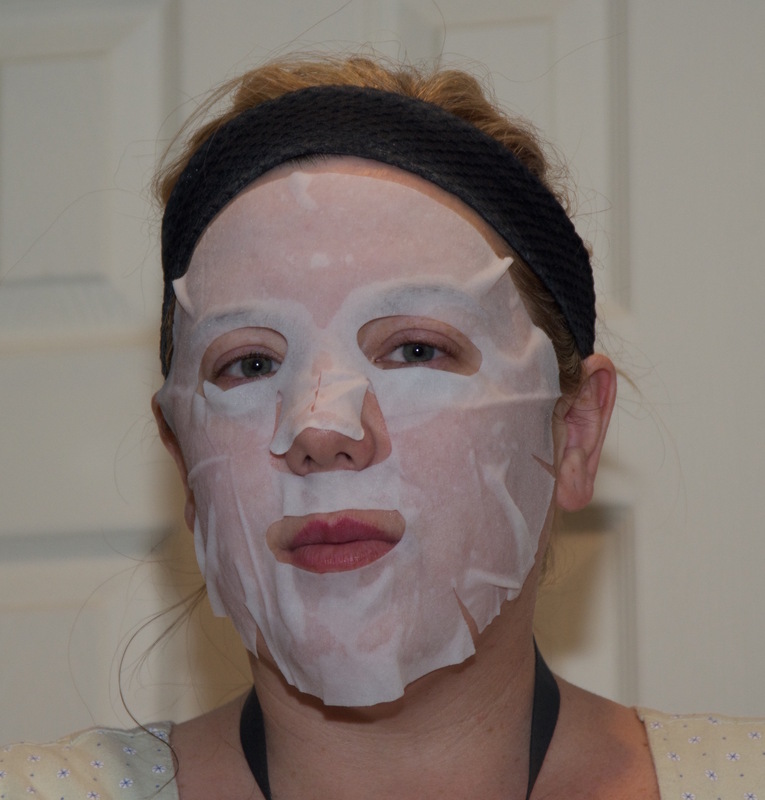 Numerous online sources suggest using a sheet mask once a week. I had never tried a sheet mask before but found a set of 16 Dermal Korea Collagen Essence Full Face Facial Mask Sheets on Amazon. Each mask has a different function, aiming to improve your skin in various ways. 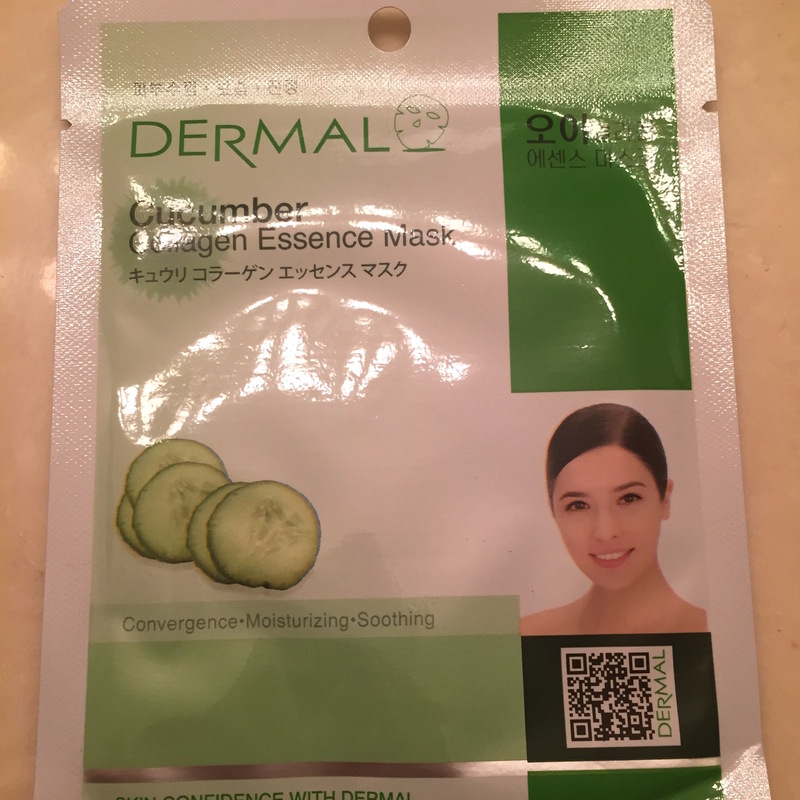 Thursdays have always been a “mask day for me” so after a particularly stressful Thursday I decided to try out the Dermal Cucumber Collagen Essence Mask. This mask aims to provide your skin convergence, nourishment and soothing. Each time I do a mask, I begin by exfoliating my face. On this night I used Philosophy’s Microdelivery Exfoliating Wash. I let my face air dry and attempted to figure out how to use this mask. Once dry I opened the package and found a white material, folded and soaking wet. I was shocked at how wet the mask was (in retrospect, I shouldn’t have been surprised, it was soaking up the assorted liquids). After I removed it from it’s packaging, I attempted to unfold it. For some reason I struggled to get it completely unwrapped and was confused as to why there were so many extra flaps and tabs (around eyes, nose and mouth). Finally I got it apart and placed it on my face. The mask was really cold and repeatedly slipped out of place. I decided that the best way to keep it in place was to take the time to lay down and relax for 20 minutes. This helped! I expected to know when to remove the mask. While it did dry a bit, it never fully dried. After 20 minutes was up the mask came off and my face was still covered in the magical concoction. I decided to massage the excess product into my face to receive the complete benefits of the mask. Once the mask was off, I realized that I should have completed the rest of my skin care routine before applying the mask. Next time, I will use my serums, toners and moisturizers prior to applying a sheet mask. I really enjoyed this mask. Not only was it nourishing it forced me to lay back and relax (two things I rarely do). 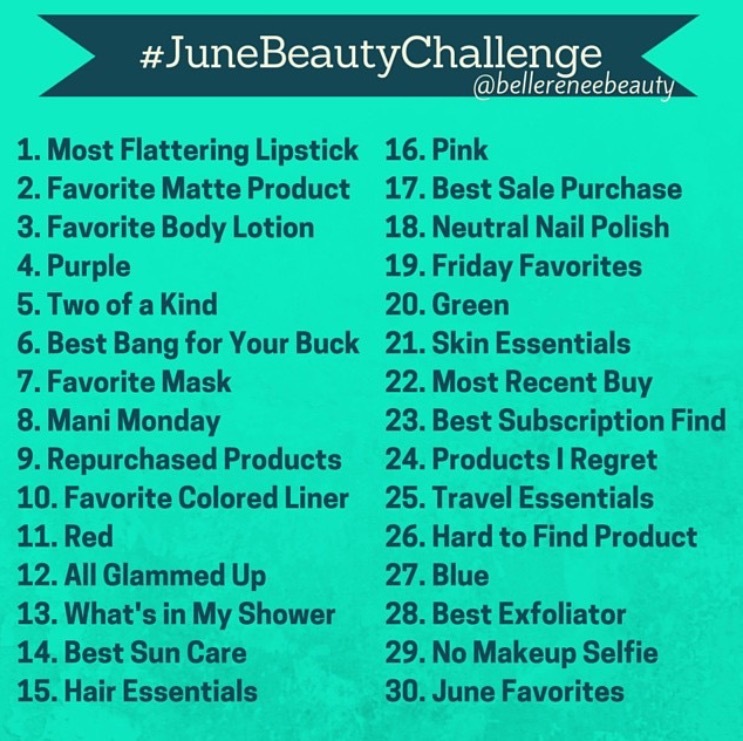 Due to traveling with limited internet access over the past few weeks, I was unable to participate in @bellereneebeauty’s #JuneBeautyChallenge (weeks 1 and 2 are linked in case you missed them). 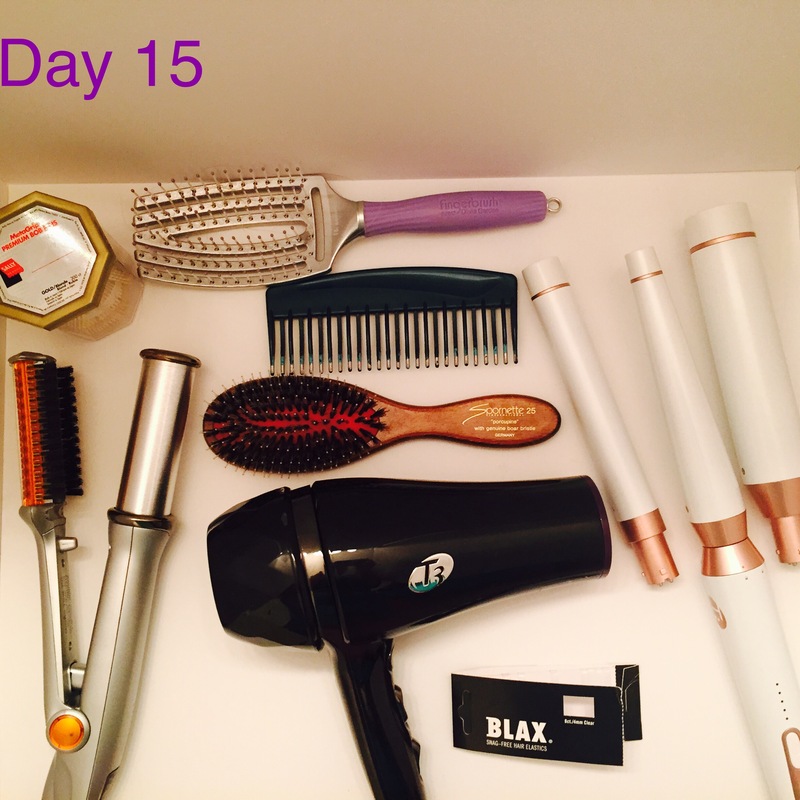 As the challenge continued, I tried hard to highlight new and different products I use, but it was a real challenge! 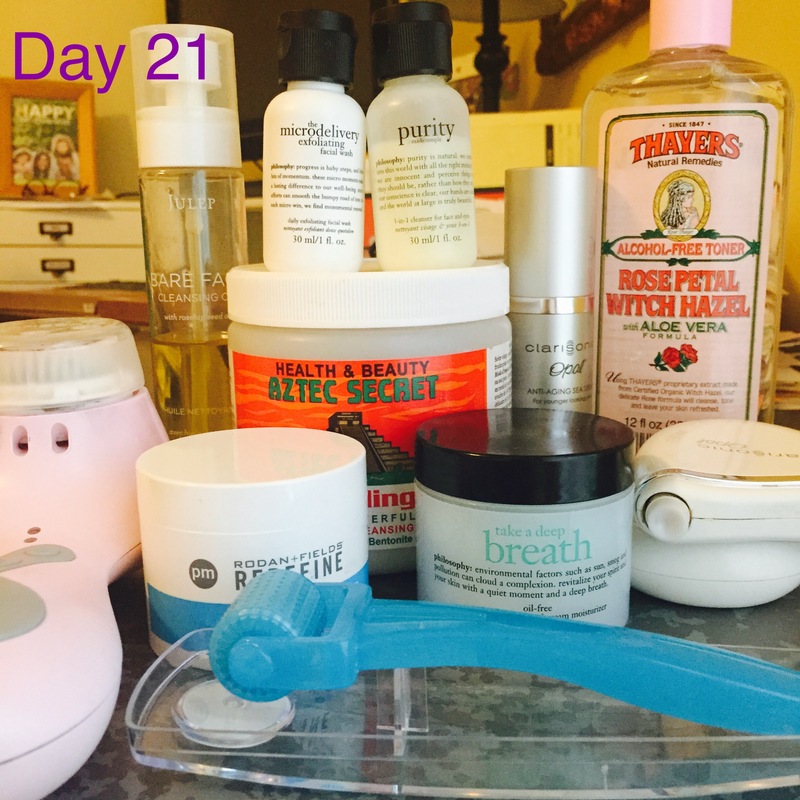 I was able to discover my true “holy grail” products! Confession time: I only wash my hair once a week. I have crazy thick hair which takes forever to fully dry and I don’t have the time, or patience, to worry about it too often. In order to keep this mane of mine under control all of these products are extremely necessary! As with most things in my life, I have a fairly consistent hair care routine which allows me to wear various styles through out the week but still refrain from washing it. Today I realized that I had not shared anything from my first true love: nail polish. Long before I cared at all about makeup or skin care I had a true infatuation with all things nail polish related. I wanted to show love for many of my favorite brands by showing off (some of) my pink collection! One of my favorite times of year occurs around this time each summer: the Beauty Brands Liter sale! I tend to go way over board, thinking that I need a shampoo and conditioner for every single hair type, just in case my hair changes during the year. It is more than a tad insane, considering I only wash my hair once a week. 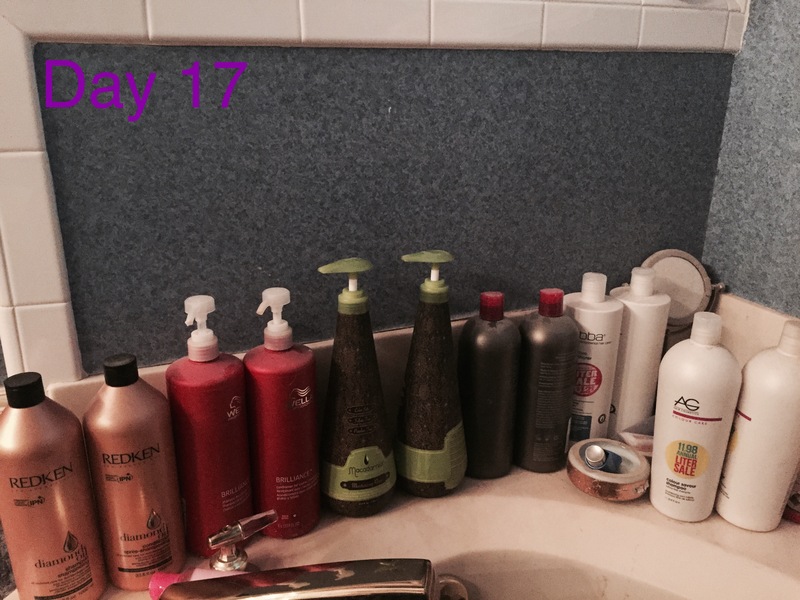 Confession: these are just the products out of the shower, there are tons in there as well! I have a love hate relationship with neutral polishes. I adore them when I see them. I think they are so pretty and clean looking, but I have never found a shade that didn’t make my nails look grimy. Instead I opt for super dark colors in the fall/winter and bright colors in the spring/summer. This is as neutral as I get! 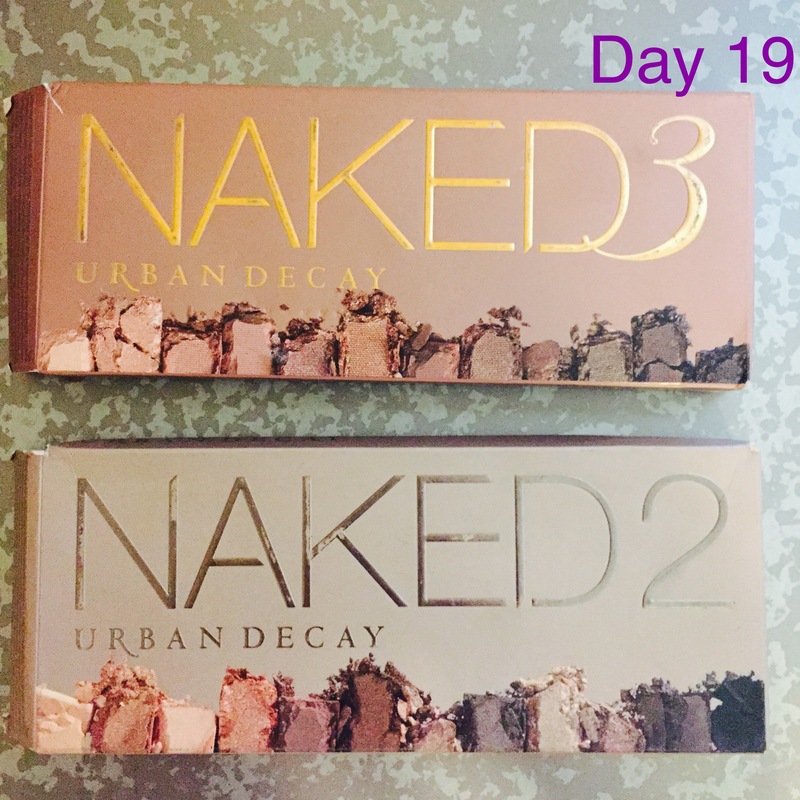 As a self proclaimed product hoarder, I have an endless supply of “favorites.” When looking back at previous challenge entries, I realized I hadn’t shared my love of the Urban Decay Naked Palettes! I have all three of the UD Naked palettes (and both Basic palettes) but Naked 2 and Naked 3 are the eye colors I am constantly reaching for! 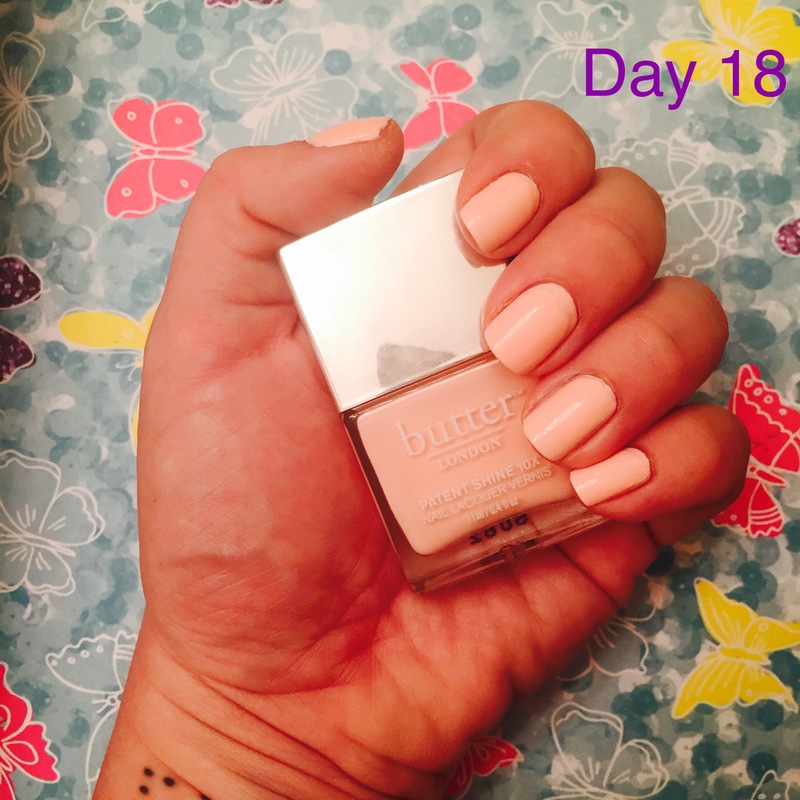 I really don’t use many products with bright colors, so I didn’t know how I was going to complete this challenge. Then I realized that I have tons of pictures wearing various masks and thought that would be fun! Earlier this year, my favorite little four year old, H, was begging to do a mask with me. 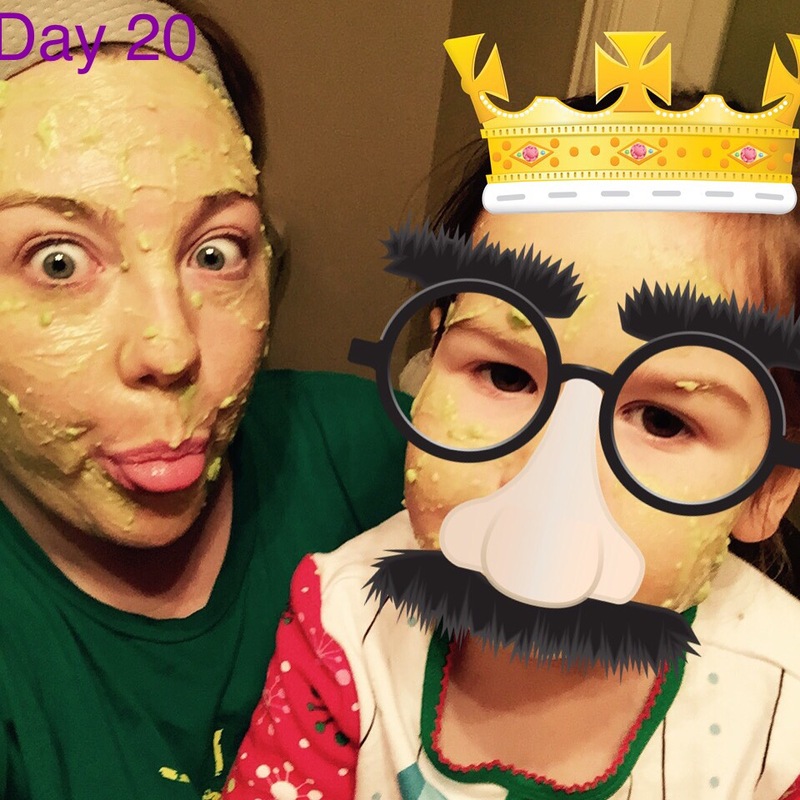 I was really hesitant to let her wear one, because I wasn’t sure any would be safe on her skin, so we decided to make our own mixing together avocado, honey and greek yogurt. This picture remains one of her very favorites because she thinks we look like Shrek. I am currently completely obsessed with all things related to skin care. Narrowing down all of the products I use to essentials was a nearly impossible task. I was traveling at the time of this prompt so I figured that if I had bothered to pack a product up and bring it with me, it must be essential! That completes the third week of the #JuneBeautyChallenge! Stay tuned for week 4: most recent buy, best subscription, products I regret, travel essentials, hard to find products, blue and best exfoliator. *I have linked to the website of each product whenever possible. In cases where the product is not sold directly from the brand’s website, I linked to Amazon. Life has been a little crazy the last two weeks so I haven’t been quite as “viral” as I usually am! Today I am starting a new feature called Sample Size Show and Tell. I have been doing a ton of online shopping recently and received an abundance of samples. Confession time: I am terrible about using samples. I am so attached to the items that I use, that I have a hard time branching out and trying samples. I thought that featuring them on here would help me kill two birds with one stone. 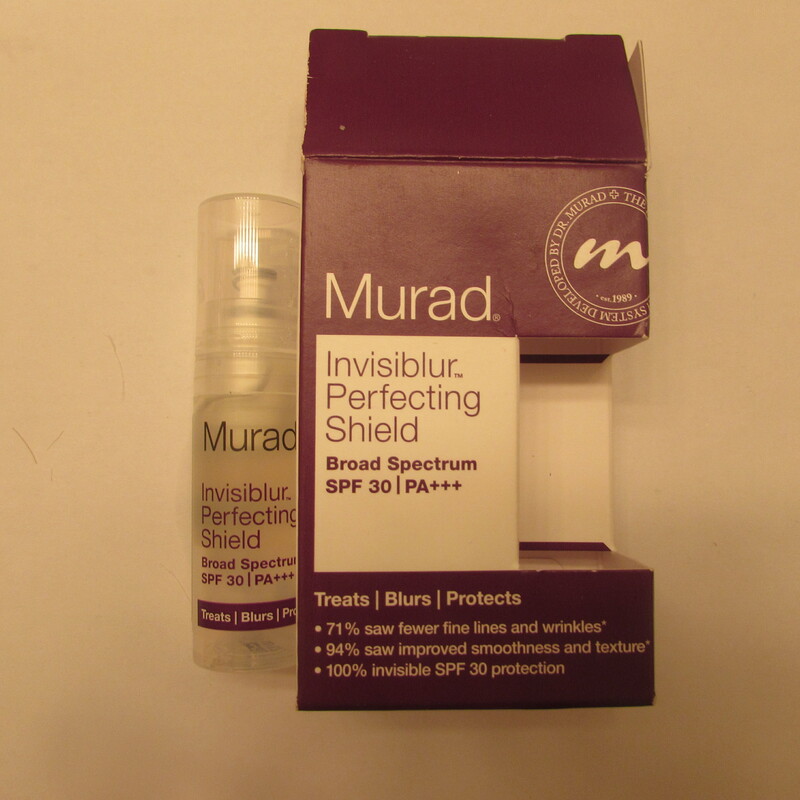 My first show and tell is for Murad’s Invisiblur Perfecting Shield Broad Spectrum SPF 30. Murad’s Invisiblur is targeted as a single step makeup/skincare treatment that will blur facial imperfections while also leaving your skin with a matte, velvety texture. They also recommend using this product as a mattifying facial primer. The Invisiblur container has a pump which allows you to distribute small amounts of the product directly onto your hand. The clear gel-like consistency applies easily and evenly over your face, and a little bit goes a long way! I used this product solely as a primer. I am always on the lookout for a good mattifying primer during my shiny summer months and this product was a good option. It does not have a strong scent, which I like, and I loved how smooth my face felt. It really did a great job minimizing my shine throughout the day. While I liked the product, I don’t think I would purchase the full size which retails for $65.00. I did not feel that it did anything over and above the other mattifying primers I use, Julep Blank Canvas and Tarte Clean Slate Poreless 12 Hour Perfecting.